Would anyone care to speculate as to what UAV will be used on the new OPV's when they arrive in a few years time? I believe the specs call for the new ships to be "UAV capable" and at 90M I'd believe there should be plenty of space aft to accomodate the neccesary landing area/equipment etc. Personally I only have a limited knowledge of such vehicles but id be interested to see/hear peoples thought's on such an important element of the new Patrol vessels. I assume something like the Firescout http://www.naval-technology.com/projects/firescout/ is far too advanced for our needs (Id be amazed despite desires for future proofing if we ever choose a weapons capable UAV) but Google didn't really throw up too many other alternatives. Anyone care to share thoughts? The tender document states the current naval UAV... but no one on the board seems to know what it is. 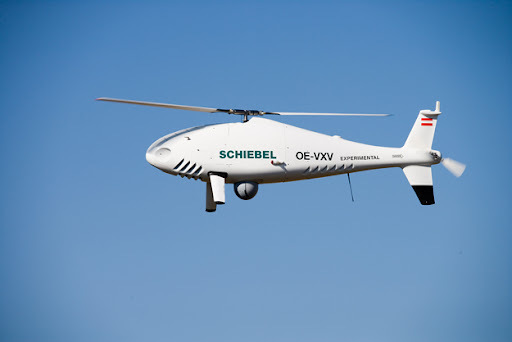 As I mentioned on another thread, the German Navy will be equipping each of their K-130 corvettes (~90m) with two Schiebel Camcopters. To me it reads as UAVs currently inservice with the NS as there already is medium size tactical UAVs on the market. Current Naval UAV's as in Naval UAV's currently available. There are no current Irish NS UAV's. If there were specific data re size and type would have been provided. The only current UAV in DF service is the prone to being homesick Orbiter. Thats what you get when you strap a camcorder and a Tom Tom SatNav to a homing pigeon. 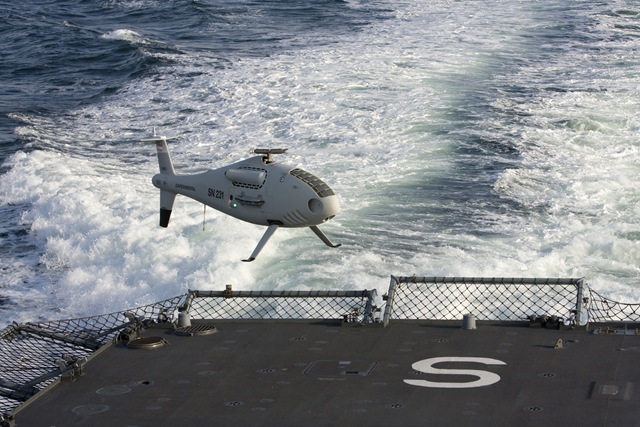 The Gowind Class L'ADROIT, previously known as Hermes, has been designed to operate, amongst other capabilities, a UAS, and by installing the appropriate cabling and supporting equipment during build, has been fitted out to operate the maritime proven CAMCOPTER® S-100 from day one. The ship will be used primarily to conduct maritime surveillance and reconnaissance missions as well as anti-piracy and anti smuggling operations and is believed to be the first vessel ever to be designed and built to purposely carry a UAS. We were just discussing that aircraft on the OPV thread two days ago. Seems to be growing very popular for Naval ops. Ironically developed in a landlocked country. Ever try lifting a life raft? the scale of the machine we are talking about is just above model aeroplane scale..look at the Armys and ask what could it carry.....? it's got a 100lb payload,it seems that there is a good number of 6 man rafts weighing in between 60-90lb available? What weight/capacity are the rafts dropped from the CASA? giving time for either a vessel to steam to a scene or for a SAR chopper to make it on scene..............it's got a 100lb payload,it seems that there is a good number of 6 man rafts weighing in between 60-90lb available? seems a pretty decent idea warthog, i didn't realise they had such lift capacity. would be a decent asset to have, but what is their range? i guess the victims would need to be identified first by another air asset for this to work, otherwise the life raft would be deployed from the local vessel. 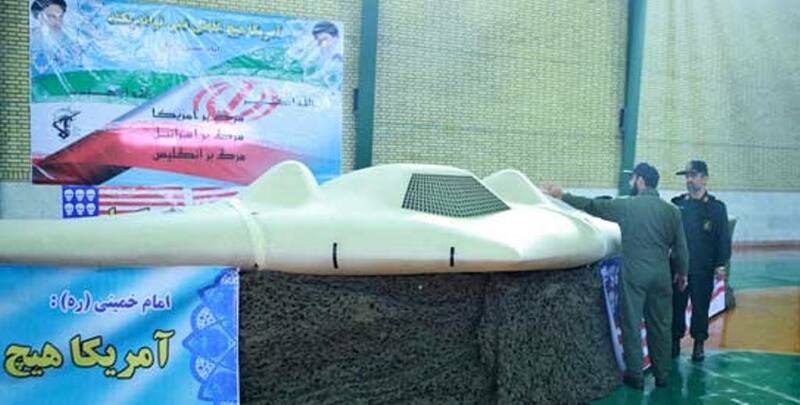 Its certainly an idea but not really feasible for this size of UAV. Remember that the UAVs payload must also contain its fuel and EO/IR payload. Therefore if you have a 60lb liferaft and a 20lb EO/IR payload in the machine then its only got 20lbs of fuel. Not sure what its RoA with 20lbs of fuel would be but its likely the vessel itself wouldn't be to far away. Also of concern is the actual bulk of the liferaft. It wont fit under the aircraft unless the legs are extended, possibly effecting its landing characteristics. Mounting on either side would cause huge CoG issues. The smallest raft I have seen was a canister packed air droppable 2 person liferaft designed for mounting on the wing of the Cessna 337. Not sure if they are still in production but this system would certainly work but it really is in the domain of full scale aircraft sized machines. Given the above mentioned factors if a Naval vessel is not within range of dropping a Rhib and people are in the water without immersion gear in reasonably rough weather, its too late any way. Anything greater thatn about 10 or fifteen miuntes and people won't even have the strenght to climb in to rafts. How would UAVs be effected by weather condition, wind rain, poor vis etc.? whatever they buy - i reckon they'll need to buy quite a few extra as i can't see them always returning back to ship safely. Its a reality , ever why RC model fliers operate from big fields as opposed to back gardens???? In 2003 the Naval Service procured a small fleet of remote control rotary wing aerial targets (Ornith S2500). Recreational model aircraft enthusiasts usually fly this type of aircraft, however the Naval Service intended to employ these relatively inexpensive aircraft for target tracking drills and deploy them as disposable targets. The program met with limited success because pilots found the aircraft’s lack of stability interfered with tactical objectives. Moreover, since few personnel attained competency, upkeep of an operational pilot corps proved burdensome. Remote control helicopter technology has progressed significantly since 2003. Autopilots reduce the complexities of unit operation. Systems can be retrofitted and when accompanied by ground control software, transform recreational model helicopters into autonomous platforms. Advances in wireless network technology and camera technology have led to widespread availability of telemetry and audio-video transceiver devices. The Naval Service, as an initial step towards developing an Unmanned Aerial Vehicle (UAV) knowledge base, is interested in retro-fitting its existing rotary wing target fleet with commercial off-the-shelf autopilot systems and associated ground station, in order to produce a scale model UAV fleet. These will have NO operational role in the NS but will be used as a platform for the NS to explore the utility of operational rotary wing UAVs in future. They will also resume their role in NS gunnery training. This concept incorporates a desire to preserve and re-utilise the existing NS assets (the rotary wing targets and and ancillary equipments) and simultaneously progress the in-house knowledge base for UAV operations. Consequently it is a requirement of the project that the successful tender utilises the existing assets in the manner described insofar as current technology and budgets allows and avoids the purchase of additional airframes. a. The revival of the original gunnery support program. The autopilot equipped targets, used in conjunction with ground station software, will circumvent the difficulties that handicapped the original project and permit operation by Operational Training Centre personnel for Anti Aircraft training drills and demonstrations in the area of the Operational Training Centre on the Naval Base Haulbowline. b.	Sensor development. The retro fitted helicopters will perform as a test-bed for sensor development or sensor evaluation allowing Naval Service to provide a practical support to partners in IMERC. c.	Informing any future training program for future UAV developments in the NS. a. Provide the ideal autopilot system, parameters to include cost, performance, the potential for systems to be adapted for a range of roles, and technical support. b.	Retro-fit TWO rotary wing targets with hardware and commission as scale model UAVs including ground-station. c.	Provide the software and hardware required to achieve the objectives. e.	Conduct a flight test program in order to establish the scale model UAV’s limitations and determine its suitability for the proposed roles. f.	Deliver a basic operator training and maintenance programme to a class of not less than three NS operators, the proposed training syllabus to be submitted as part of the tender. Tenderers should specify the maximum number of places available on the training course. g.	Document the all above work in the form of a detailed project file to be handed over on completion of the project to the NS point of contact. a. Selected autopilot equipment should be transferable between airframes giving a redundancy capability. b. Repair & retrofit element of this project should not take longer than four (4) months. c.	Some minor repairs will be required to re-commission the existing fleet for this purpose. The successful tender will include the repair of the existing fleet and will undertake to preserve and if necessary repair the assets during the course of the project. The fleet may be viewed at the Naval Base Haulbowline Operational Training Centre by appointment. d.	Alterations to the existing equipment to retro fit will be permitted with approval of NS POC. b.	Retro-fit TWO NS rotary wing targets with hardware and commission as scale model UAVs including ground-station. c.	Repair of the existing fleet and preservation/ repair of the assets during the project. d.	Provision of all software and hardware required to achieve the objectives. e.	Provision of an initial basic payload day-light TV sensor allowing recording, and ideally, transmission of images from the helo (feasibility, budget and technology may be discussed further with POC). f.	Conduct of a flight test program in order to establish the scale model UAV’s limitations and determine its suitability for the proposed roles. g.	Conduct of a flight test program in order to establish the scale model UAV’s limitations and determine its suitability for the proposed roles. a. Provision of syllabus and delivery of a basic operator training and maintenance programme to a class of not less than three NS operators. b. Documentation of all work in the form of a detailed project file to be handed over on completion of the project to the NS point of contact. seems to be similar to one of these.